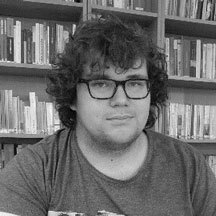 José Lúcio Gomes is an intern at the Margarida Losa Institute for Comparative Literature research unit at the University of Porto, participating in the creation of the She Thought It database of women in science and art, within the Intersexualities project. He has a Bachelor of Arts in Languages, Literatures and Cultures – Joint Language Degree in English and German from the Faculty of Arts of the University of Porto and has completed an Erasmus+ studies mobility period at the University of Manchester. His main areas of research are Contemporary American Literature, German Theatre, Queer Studies and Theory, Film Studies and Comparative Literature.